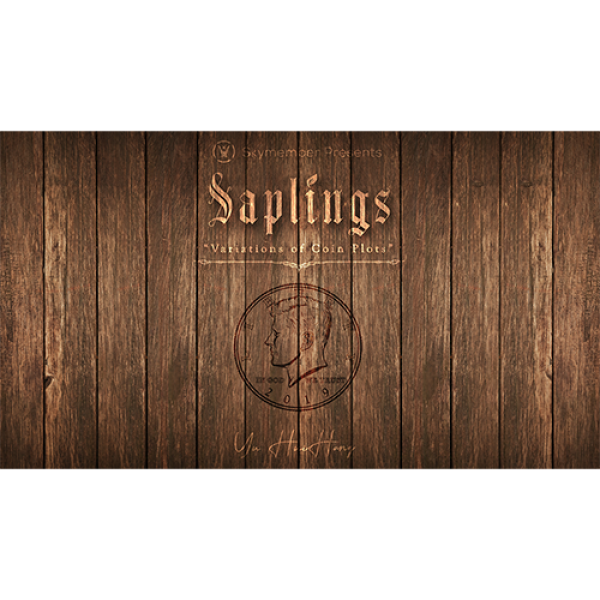 Saplings is a collection of ideas from Yu Huihang, a magician from Singapore. 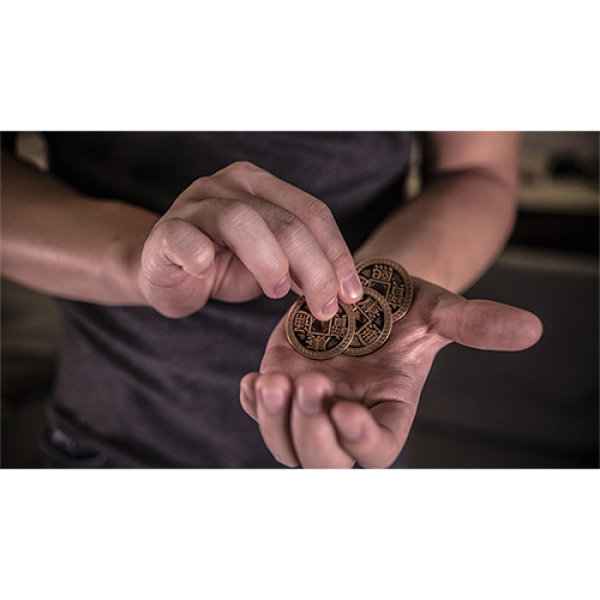 The coin magic effects you'll find here are classical coin magic plots, BUT, with a slight twist to them that will be sure to leave your audience in awe. Saplings contains 7 powerful coin tricks that are designed to exceed your audience's expectations. It takes what the audience expects one step further to throw them off their feet! What's more, you require NO GIMMICKS! This eliminates the need to shop for extra pieces and leaves all the coins examinable at the end of the routine! The tricks are taught in great detail and include over-the-shoulder views to help facilitate learning. We've also included some tips and subtleties to help you raise these effects to their maximum potential. Invisible Hangers: The classic Invisible Hangers plot, but the 4 coins are displayed on your palm instead of your fingertips, giving a more natural and fairer look to the routine. 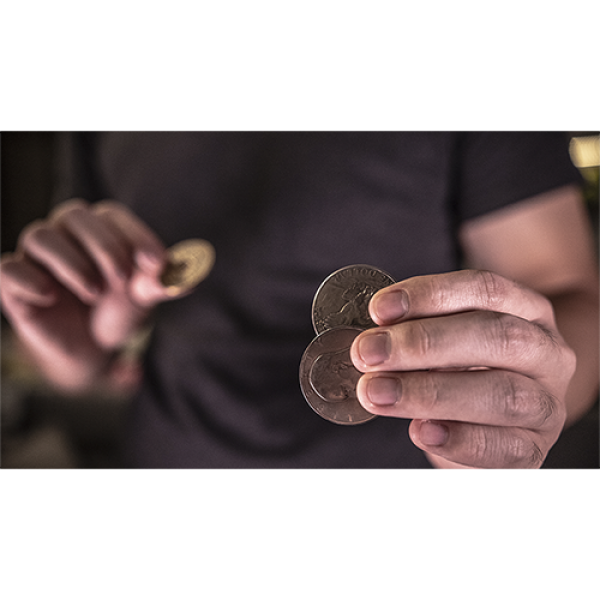 Wild Coins: A standard Wild Coin routine, but instead of only having one coin that changes and stays in view one at a time, all 3 coins change into Chinese coins and stay in full view of the audience! Wild 3 Fly: At the end of a 3 Fly routine, all 3 coins change into Chinese coins, as you repeat the 3 Fly routine one more time. Matrix: A variation on the standard Matrix routine with a different backfire. Instant Matrix: A variation to the Quick Matrix routine that plays with the audience's expectations. One Card Matrix: A Matrix routine that uses only one card with no extras. Coins to Cards: A variation on the production sequence of Mr. Takumi Takahashi's Cards to Coins. All 4 coins are seen to visually change back into cards as they are dealt down onto the table one by one. "These tricks and techniques have a lot of potential. Recommended to learn!" "Wow, I gotta relearn Cards To Coins now." "His ideas always make my head explode! It is a shame that you don't know him!!" 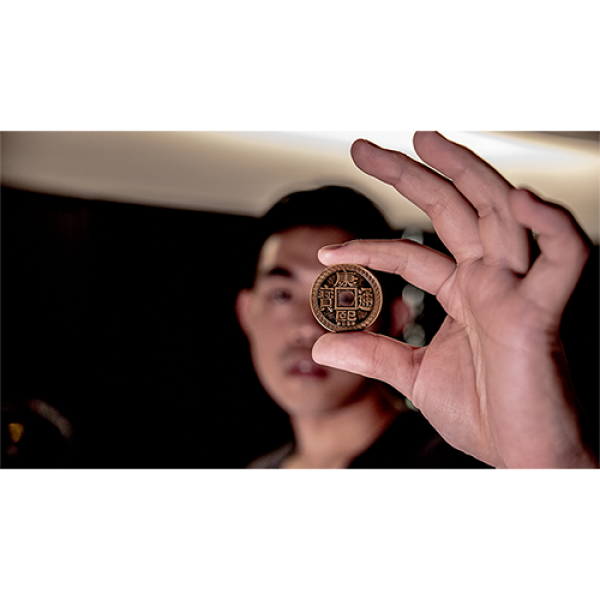 "Nice coin magic. Clear and visual effects. I like it."